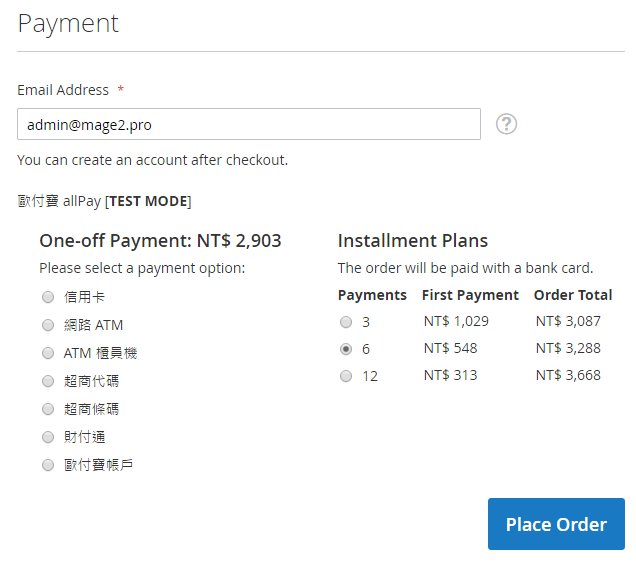 The extension integrates your Magento 2 store with the 歐付寶 O’Pay (allPay) Taiwanese payment service. Use the self-installation instruction below. Just order my free installation service. If you have some problems while executing these commands, then check the detailed instruction. 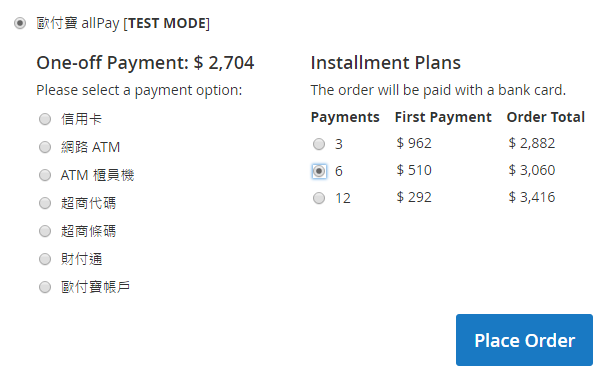 From the version 1.1.14 you can log your store’s payment requests to allPay and the allPay responses. 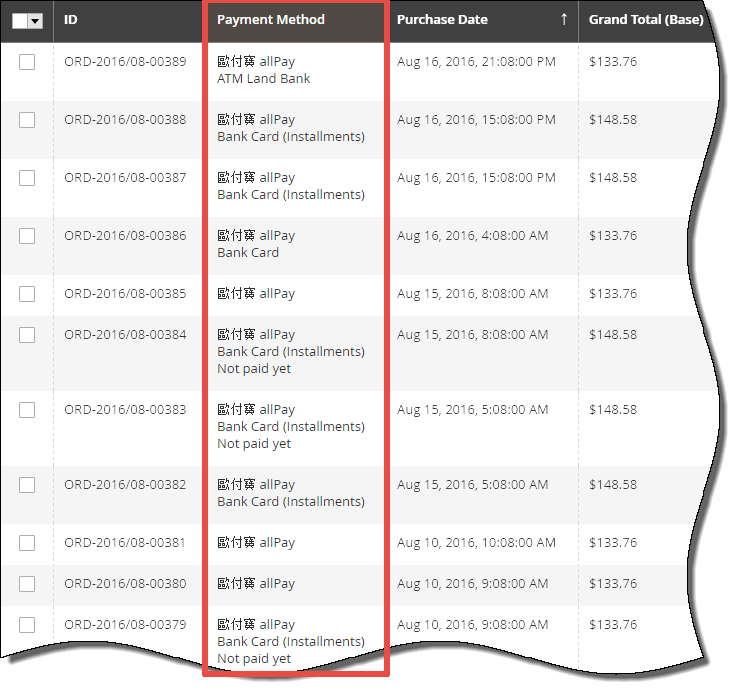 The version 1.1.35 adds a workaround for an aheadWorks Gift Card extension bug.